Following on from yesterday’s insane art offering – we’re going one better today in the originality stakes! This artist goes to show that there really are no limits to how art can be created and the tools which can be used to create it. 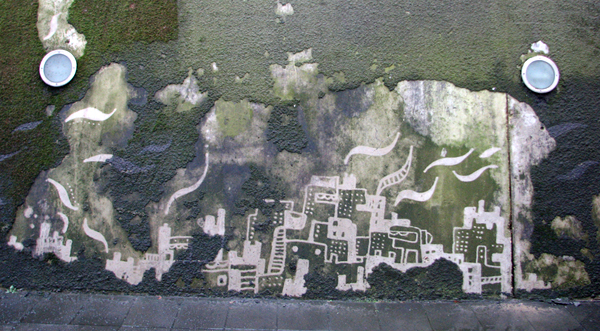 On the laughing squid blog we came across artist Stefaan de Croock, from Belgium, has used a pressure washer and a wall covered with moss to ‘blast out” some of the most intricate and peculiar designs! 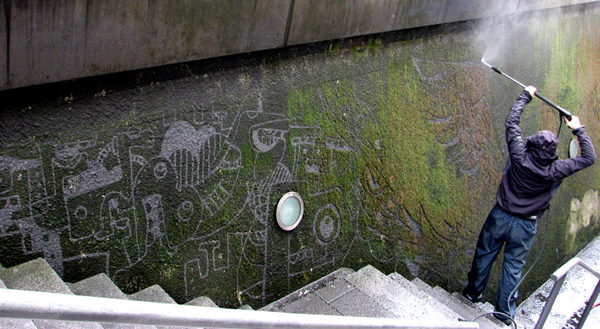 It’s less intrusive and more environmentally friendly than graffiti, but certainly with the same wow effect!